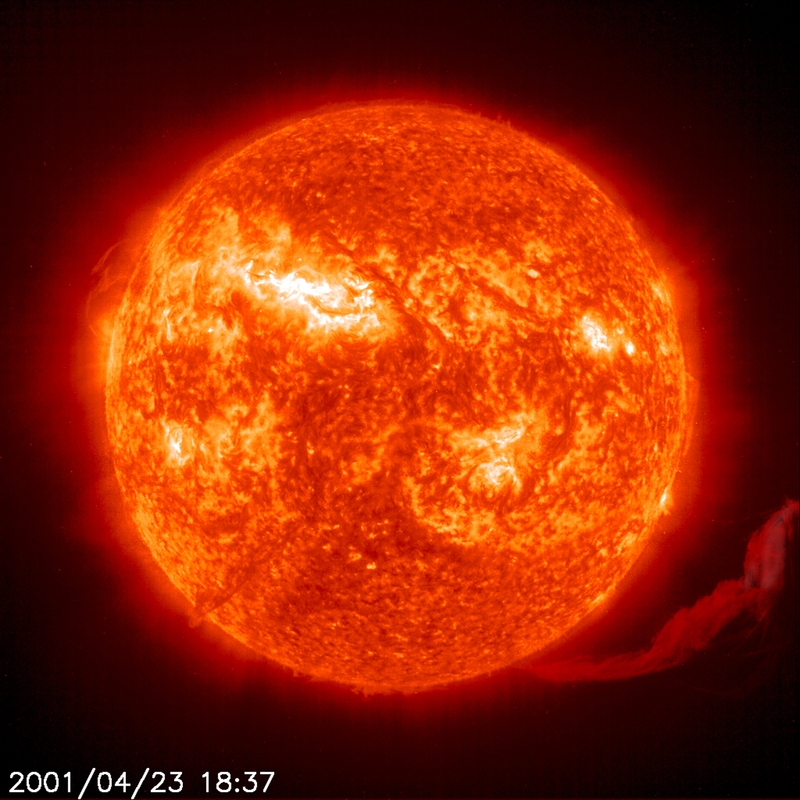 EIT 304Å image captures an elongated erupting prominence -- Prominences are huge clouds of relatively cool dense plasma suspended in the Sun's hot, thin corona. At times, they can erupt, escaping the Sun's atmosphere. Emission in this spectral line shows the upper chromosphere at a temperature of about 60,000 degrees K. The hottest areas appear almost white, while the darker red areas indicate cooler temperatures. Image taken 23 April 2001.